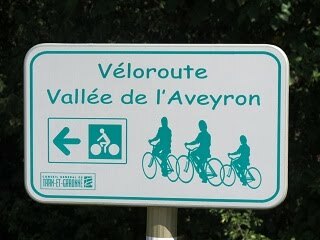 After breakfast we cycled a 14 mile section of the Loire a Velo. 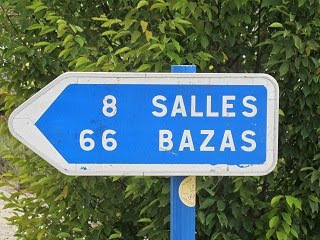 Leaving the car in the hotel car park and and heading in an easterly direction alongside the Loire. The route was one of the prettiest we have done. 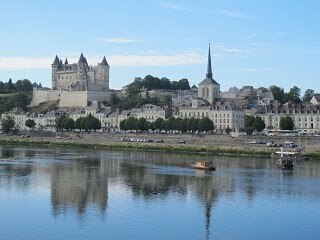 It followed the banks of the Loire out of Saumur then climbed up through the vineyards and even the middle of a troglodyte street. 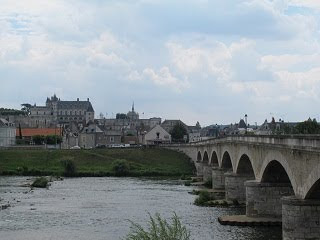 We stopped at a local market to buy provisions for lunch: ham, yellow tomatoes and bread which we ate on the banks of the Loire before heading back to Saumur. We arrived back at 2.40pm with just enough time to drive to the Caves Bouvet Ladubay to taste the sparkling wine made by the "méthode traditionnelle" . We did not have time for a tour but managed to sample 2 whites, one rose and a sparkling red. It was now 3.55pm and time to set off to Le Neubourg. The French motorway system had been expanded since our 2 maps were published so we were pleased to find it was motorway almost all the way. 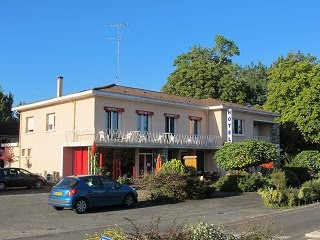 We arrived in Le Neubourg in around 3 hours with a stop. The only downside being the 24 euro toll. 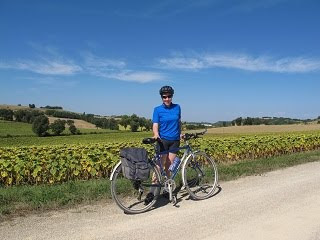 On arriving in the town we realised we had cycled though it last year on a Velo Verte. 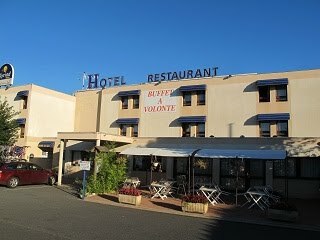 The hotel turned out to be a modern construction with a pleasant well furnished large room. 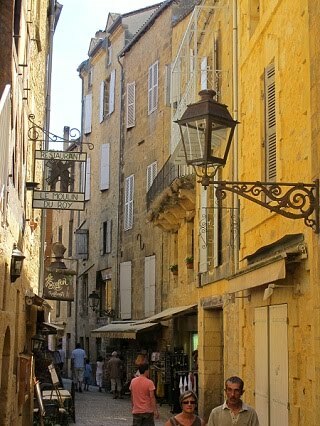 We ate in a nearby Creperie, the only resturant in the town that was open. Google maps said it would take about four and a half hours to get to Samuar. We ignored the route which would have gone by the motorway from Bordeaux and went accross country. 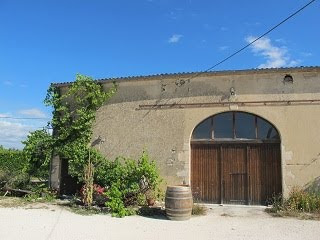 The first stop was just outside St Emilion at a large cooperative for some more wine tasting. 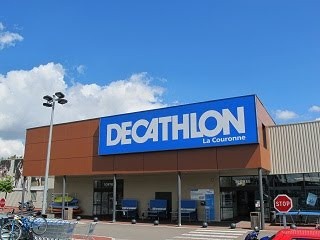 The next stop was at the Decathlon in Angouleme the 3rd of the holiday. Cycling trousers fom the clearance rail and clear glasses purchased. 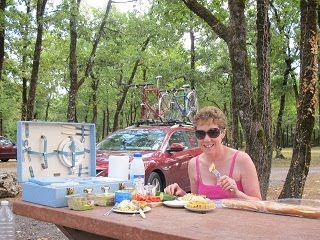 Then it was a picnic lunch before heading to Oiron. 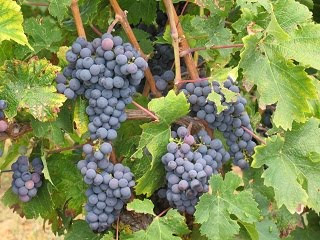 Lady Grey had remembered a rather nice peppery wine we had tried several years before and wanted a 'degustation' from the producer. We arrived just after 5.00 having stopped in a second Decathlon. Our guide book said the cave was open until 7.00pm but it was shut and there was no answer from the phone. Managed to buy several bottles from a local supermarket, but will it taste the same? Spotted a third Decathlon on entering Saumur but no bargains to be gained here. 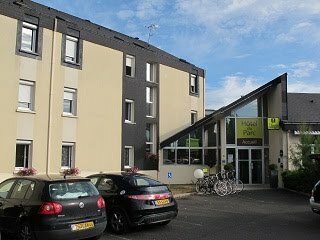 The hotel in Saumur, Hotel Du Park, turned out to be modern comfortable but lacking some of the charm of an older building. We had time for a quick bike ride before dinner in the hotel. 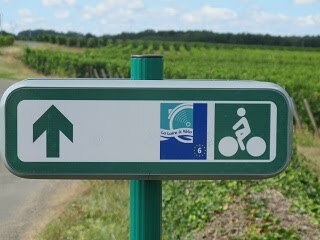 Planning to do some of the 'Loire a Velo' today. The hotel turned out to we run by a friendly English couple which explained the perfect English we were greeted with on arrival. You must be “Mr T”. The room turned out to be is a little disappointing and did not quite live up to the reviews. Perhaps we were expecting too much. We ate in the restaurant. 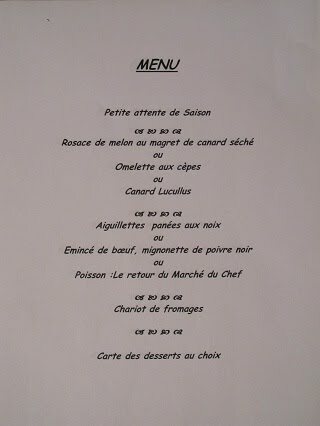 Then food was good but there was no choice on the set price menus. Breakfast was the standard French fare. After breakfast we decided to go wine tasting. The owner Steve, suggested going to a local Duras vineyard and arranged a tour for 10.30. We had tried the wine the previous evening. The tour turned out to be a tasting. We preferred the cheaper whites and thought the red were a little disappointing. After purchasing a few bottles we headed into Duras. 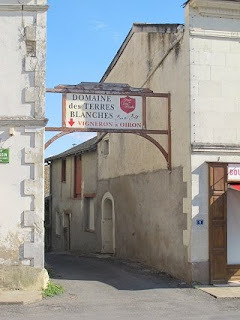 Another tasting at the Maison de Vin and then a quick tour of the town. We the headed to a small village of Pomport just outside Bergerac to purchase some Chateaux Ladevignes we had in the Auberge de la Truffe earlier in the holiday. 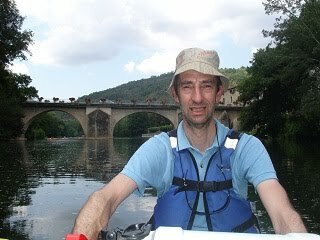 After that we had planned to do some canoeing on the Dordogne. 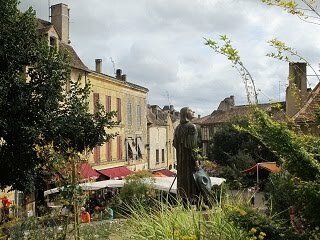 However strong winds meant that the trip had been canceled for the day so instead it was into Bergerac for a tour round the historic centre. We are eat in the hotel again. The meal was good and we opted for a menu with a couple of glasses of wine included. The whole area was suffering from a power cut. 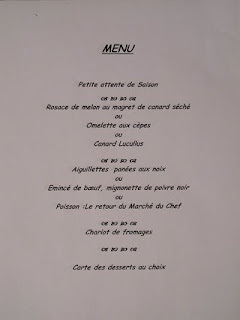 The restaurant was lit by candles and the chef managed to produce an improvised menu. Fortunately power was restored partway thought the meal. Driving to Saumur on the Loire today. 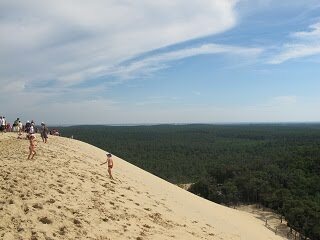 Arrived at the Dune du Pyla to find it is 4 euros to park the car - but free if you can make it up to the dune, climb it and back down in half an hour! 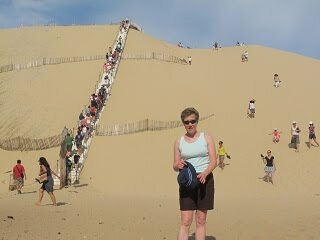 On the dune itself, on the steepest side, there are steps to climb to the top. You are able to drag yourself up without the use of steps if you so wish. Good views from the top over the Landes forest and Cap de Ferret. 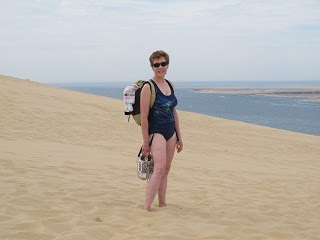 Descended the dune to the sea and had a refreshing swim. 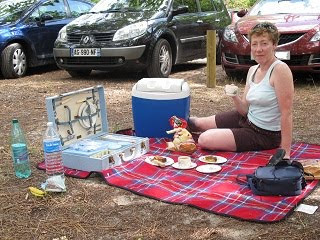 The Brexton Set came out for a picnic in the car park before a short drive to Arcachon Bay and the coast. 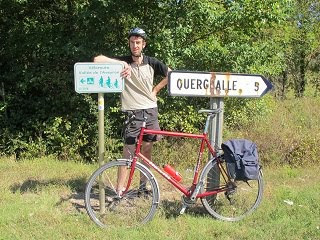 Finished with a short ride on the Velo Verte path started a couple of days ago - but from the other end. Drove to Les Remparts in Gensac. Slow getting around Bordeauxbur arrived in time for a evenning meal. 11.00. Stopped at the local Lidl for provisions before heading off. served between 7.30 and 8.00 and the bar shuts at 9.30! start. Decided to have a picnic by a local lake for our evening meal. No WiFi at the moment so a full post and photos will appear later. 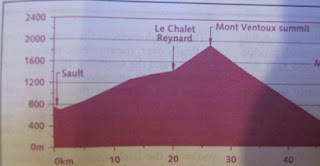 Cycled for 54 miles up on the valley du lot velo route. The route is mainly on minor road and runs for 160 km in total. 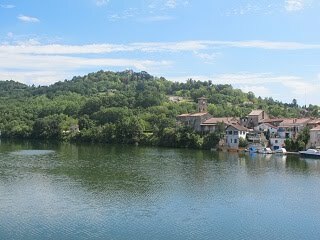 We cycled from Castelmoron to Penne D'Agenais. 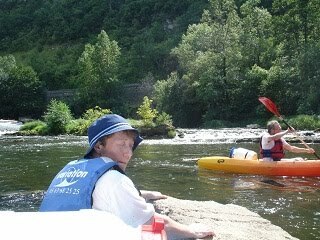 We stayed at the BB in 2009 and decided to return for 2 nights this year. We are staying with Alain and Veronique and were greeted like old friends. After a welcome drink we decided to have a swim in the pool before the evening meal. We started with nibbles of olives and a drink of Flock de Gascogine or Alaines special flavored rum. The started was a salad of Fois Gras and dried duck served with a fruity white wine. The main course served with a choice of red wine or rose was Confit du Canard and daulpinoise potatoes followed by a homemade fruit compote and coffee. We sat outside admiring the view and watching a thunder storm start to develop. 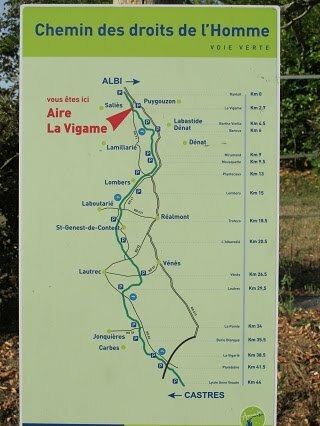 Yes we did cycle from just outside Albi on the Velo Vert towards Castres. The total length is 44 Km along a discussed railway line. We cycled for about 34 km before we turned around.. The car park at the start was full of cars most belonging to to runners who were taking advantage of the cooler early morning temperatures. We were wished "Bon Chance" as we off. We were expecting more cyclists but perhap they were waiting for a cooler day as the temperature reached 39 degrees C by early afternoon. The majority of the path was gravel and was surpisingly hillly. The day started with a 2 mile climb out of Albi. We cycled for 40 miles in total arriving back at the car just after 3.00pm. 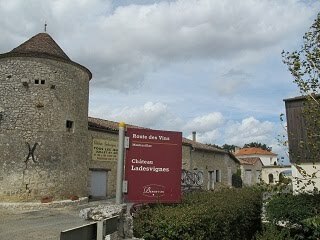 We past a couple of small villages on the cycle route but non with a boulangerie that was open so had to made do with the friut and biscuits we had taken with us for lunch. 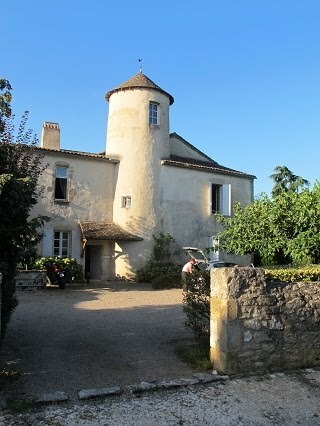 The jouney to Casteljaloux took about 3 hours. 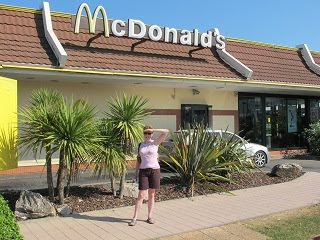 We stopped at Mc Donalds for a late luch as that was all we could find that was open on a Sunday afternoon. 8 euros 50 for a salad and large portion of patatoe wedges to share. We arrived at Le Clos Castel just in time for a swim and BretonT to to lock us out of the room! Today is going to be hot. 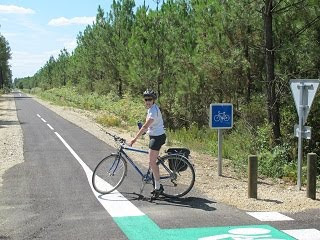 Planning to cycle a section of the velo vert between Albi and Castres. Hotel was functional and OK for one night. Today was even hotter than yesterday.Breakfast was served in the garden again. 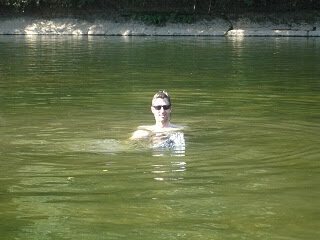 Decided to cycle up the river before it got too hot. 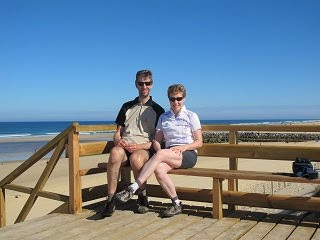 We cycled for around 9 miles following the veloroute before we had to turn back. We then spend a final hour wandering around the old town before starting the 50km drive to Albi. 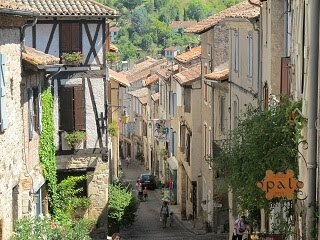 We stopped on route at the medieval hill top village of Cordes-sur-Ciel. Parking can be a problem in the summer but we found a space at the newer lower part of the town before climbing up the hill to the old part. The town was busy but was still pleasant to wander around. So much better than Rocamadour of Sarlat which were overun with tourists. We arrived at the hotel around 5.30, a quick cup of char then back into town to view the cathedral. The guide book said it is open to 7.00pm but it is now 6.00pm so we just had time to look inside before the lights were being turned off. We then had a walk down to the river and though the old part of the town before returning to the hotel for a meal. 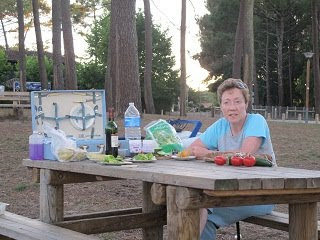 Yesterdays evening meal was purchased at a marche gourmand. late lunch and later for a swim. did a 20 mile cycle ride around Payrac before driving to St Antonin Noble Val a 12th century market town in the Aveyron gorge. 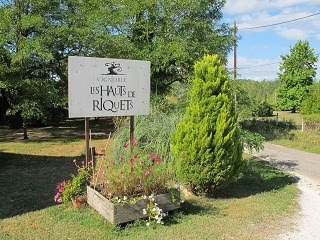 We stopped just outside Cahors at local cooperative to sample the local wine. We decided the one at 33 euro a bottle was a little too dear. Even the suggestion we could save it for a special occasion like our 40th birthday did not clinch the sale. We opted for some cheaper bottles. 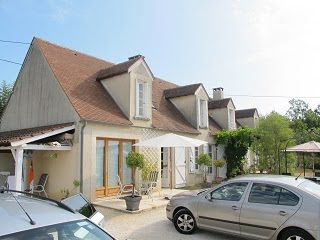 We are staying in a restored French country house in the old part of the town. No WiFi so photos will be added in Albi. 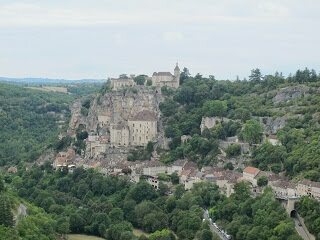 The weather was overcast and low 20`s so it was an ideal temperature to cycle the 17 miles to Rocamadour. 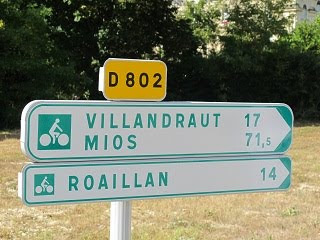 The rides starts with 3 milesdownhill from Payrac before the long climb to. Cales. Then it a descent to the valley bottom again before the climb to Rocamadour. The town itself is one of the most visited sites in France. If you are in a car you park at top an then either walk down to the old town or pay to use the elavator / lift. 2.5 euros one way 4 euros return. 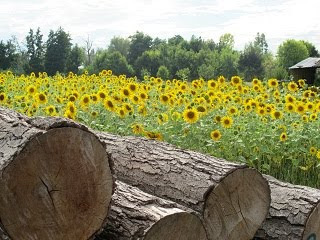 As you would expect from its popularity the town is very busy but still worth the trip. 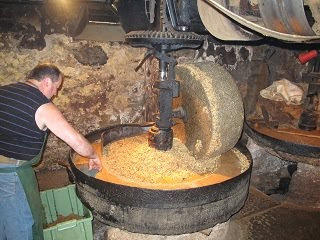 To get back to Payrac we retraced our steps but included a small diversion to fortifed mill. 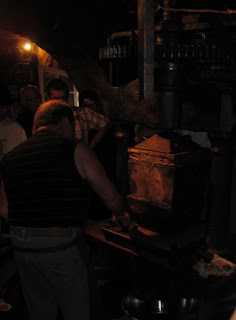 We arrived back at the B and B at 5.15 and then headed off to and old mill that presses nut oil by the traditional means. 30 degrees but we had to make do with an icy 22 degrees. 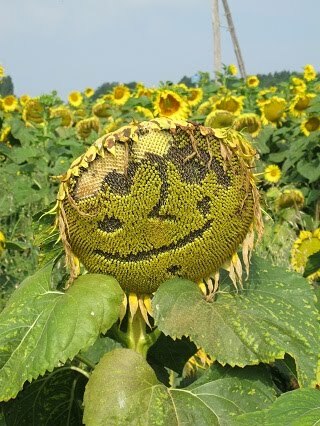 is certainly worth a visit. No. Wifi so the picures will have to be added later. Excellent evenning meal which made paying for half board worthwhile. Had a choice of deserts but paid a supplement and had a Grand Marnier souffle which was set on fire at the table! It would have made a good photo had we had a camera but the tech was left in the room. Breakfast was standard French fare, coffee, bread,croissants,pain au chocolat homemade jam, ham and cheese but we would have like an additional piece of baguette. 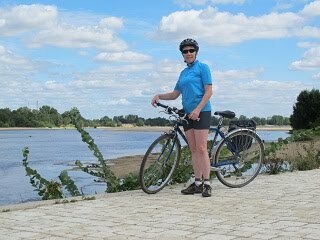 The rain had stopped so we decided to cycle a section of the Loire a Velo towards Tours. 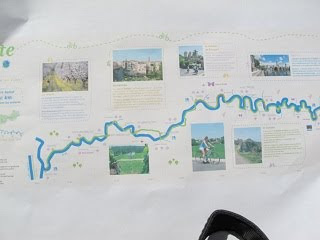 The route was well signed posted even though it was still provisional.It ran away from the river along minor roads and specially constructed cyle tracks though fields and vinyards. 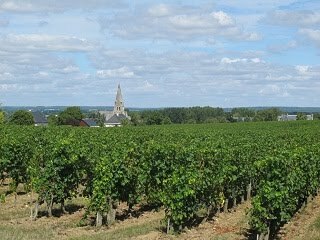 We followed the route for around 12 miles to Montlouis-sur-Loire before we had to head back. If we had longer we would have like to complete the section to Tours. 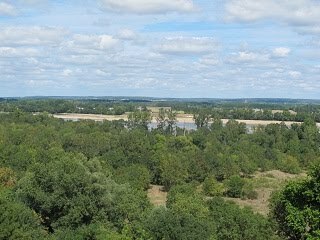 The section we missed would had run directly alongside the Loire. We only got lost once when the signposts disappeared. We joined the route again and on our return journey found where we had gone wrong. The signpost had pointed to what look like a private drive and we had assumed it was pointing up the road. We left Amboise just before 2.00pm and arrive in Sorges at 6.30. Stopping for provisions and a late lunch. 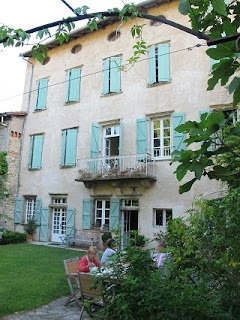 We ignored Google maps and found the Auderge de la Truffe in Sorges and not 3 miles away as Google maps had suggested.